Order your own, fresh pasta brimming with delicious ingredients from a Pastacup restaurant near you. Pastacup Delivery. $20 Minimum Spend. Get Pastacup delivered to your door! At Pastacup, they are driven by their love for great food and the desire to share it with their customers. Keeping in mind that everyone is an individual, Pastacup encourages people build their ideal meal by choosing the type of pasta, sauce and all the extra ingredients to make your perfect pasta. With 21 stores across Perth and regional WA, Pastacup recently opened their first interstate store in Wagga, NSW! 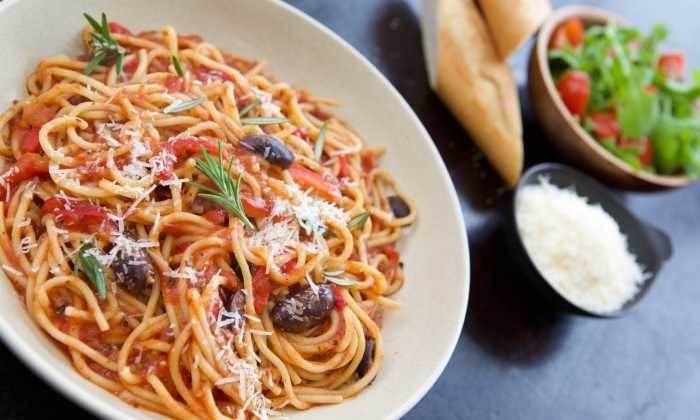 With so many options to choose from, pasta lovers are guaranteed a tailored meal. Choose a size - kiddies, small, regular, large or family cup, then your sauce and finally your pasta, and your meal is ready! And, if that’s too hard, there’s also a menu you can take your pick from. Want pasta, faster? Order your favourite pasta dish, designed just the way you like it from Pastacup. Forget cooking and shopping for all the ingredients, order though Menulog in a few easy steps, and soon you’ll be digging into a comforting and delicious bowl of pasta.